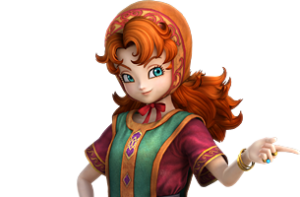 Maribel is a character that can use different types of attacks. She can either use short-ranged attacks using her melee weapon and she can also use long-ranged attacks using spells. She will join you during the Battle of Gyaird quest “What! What’s up!”.